This course has been approved for 40 hours of certification/recertification training credit by the IAI Crime Scene Certification Board and 10 hours of certification training credit by the IAI Forensic Photography Certification Board. Comprehensive and accurate analysis of evidence will make or break a case, and it ultimately determines if justice is served, whether the case is a property crime, assault, or death investigation. 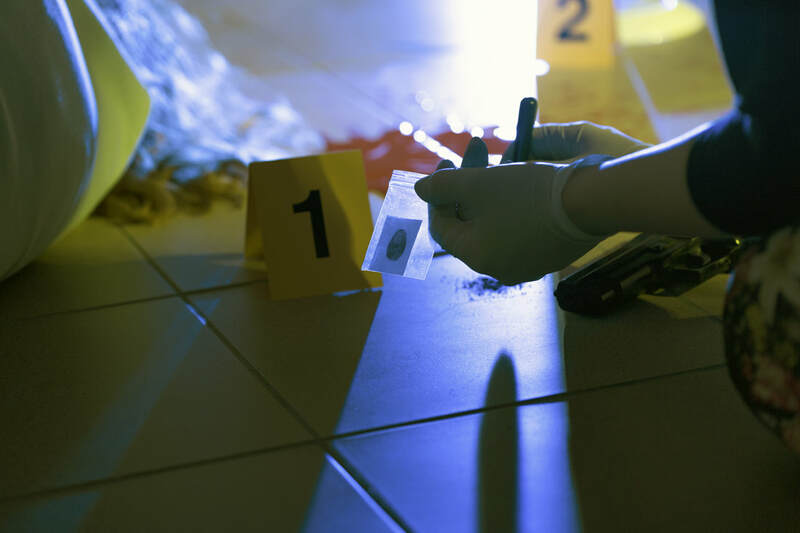 Investigative Analysis and Crime Scene Reconstruction is a challenging, forty hour course, designed by veteran field experts for detectives, crime scene investigators, evidence technicians, and others involved in crime analysis. Through both lecture and practical exercises, investigators expand their skill sets by learning and practicing accepted, tested methodologies for objective analysis of evidence. This is not a crime scene processing course; it is, rather, an exploration of expanded ways of thinking about information and evidentiary relationships in investigations. ​Prior investigative or crime scene experience and basic familiarity with bloodstain patterns is helpful. Course materials are provided in electronic format. Attendees should bring an electronic device with USB connection and basic office suite software, such as a laptop computer, to access, prepare and save digital work product, case materials, and complete fillable forms used in lecture and practical exercises. “The crime scene reconstruction course by Gary and Iris Graff was an incredible learning experience. The knowledge and experience Gary and Iris brought to the class was invaluable and their focus on scientific methodology and fact based objective analysis should be a model for all crime scene analysis training”. Booking Info: Call Marriott Reservations at 1(800) 331-3131 or (703) 266-4900 on or before Sunday, July 28, 2019, (the “Cutoff Date”) to make your sleeping room reservation. Please identify yourself as part of the Tri-Tech Forensics group staying at the Residence Inn Fair Lakes Fairfax.